At Al Falah University we enjoy cordial relations so that all our members can feel welcomed and appreciated. 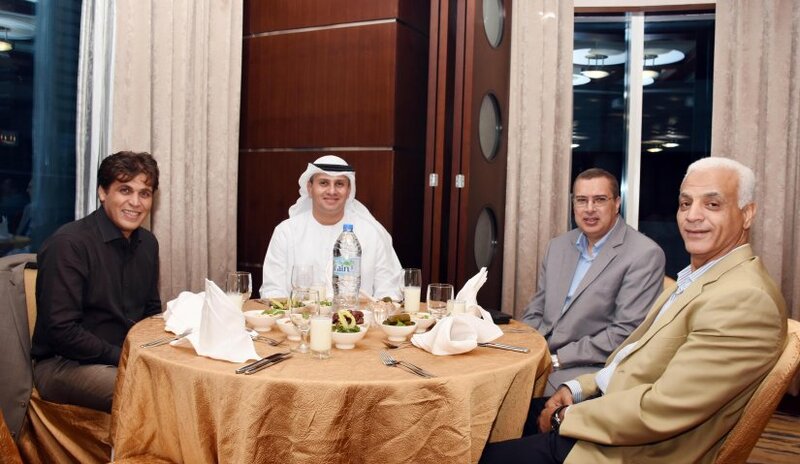 To honor the holy month of Ramadan and to bring all the members closer the management of Al Falah University organized an iftar occasion thereby gathering academic and administrative members to share this blessing. The occasion was graced by the Chancellor, Dr. Noureddin Atatreh and the Vice President of Academic Affairs, Dr. Sameer Al Barghouthi. The Chancellor wished everyone a blessed Ramadan. He praised the organization of the event which successfully renewed the spirit of harmony and friendship, and promoted social interaction among all university staff as a family. The Vice President of Academic Affairs, Dr. Sameer Al Barghouthi expressed the importance of the role of every member in the university and how their dedication has provided continued successes. He promised that he would extend all support to all the dedicated members through constant encouragement in return for their commitment needed for the university to move forward. As the evening unfolded word games organized by Dr. Samer AbdelHadi and Ms. Ghada were played to cheers the ambiance. Dr. Nasr Abbas, a distinguished faculty member recited two poems which led to further casual participation of all the members and the sweet evening culminated into a joyous gathering.